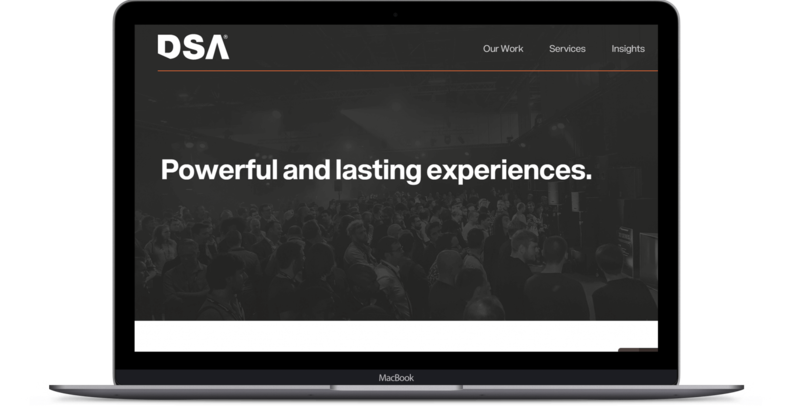 DSA is an event marketing agency that specialises in unforgettable brand experiences, so naturally their own brand needed a unique web presence. Evoking that exciting, immersive, creative feeling in the website is achieved with animated aspects to the main header, rollover effects on the portfolio and lots of large, bright images. 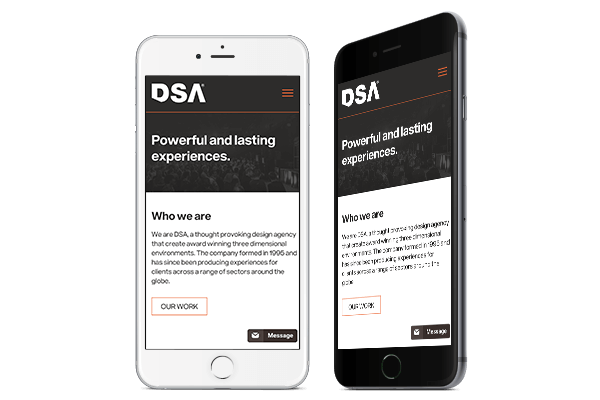 Maintaining the dynamic look of the DSA site, as well as its functionality, is as important on mobile as on a laptop or a large desktop. The mobile-ready site seamlessly scales down the imagery while keeping the style the same. 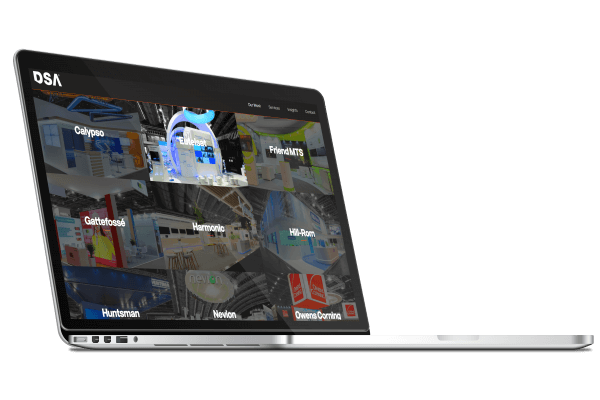 Site visitors can browse the portfolio and images, chat and send messages, whatever platform they are using. DSA has a vibrant and dynamic portfolio that is best shown off with big images and minimal text. On the main portfolio page site visitors can see a quick overview of all the projects and then click through to get more information. A hover effect on the portfolio tiles feels interactive and encourages viewers to click. The blast of colour really brings the portfolio grid to life, without being overwhelming in full colour. It’s easy for the team at DSA to add new work to their portfolio using the WordPress content management system. WordPress is versatile and easy to use and is a great choice for a site like DSA’s. It is the content management system of choice for over 75 million websites. So it’s not going anywhere.